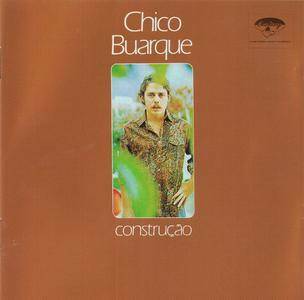 Chico Buarque's fifth album for Philips is a classic, where nearly all the songs became hits. 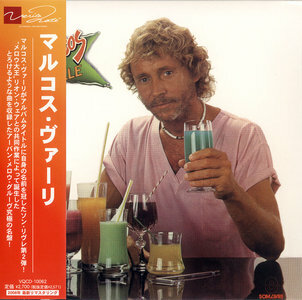 Buarque was featured in an acoustic setting, almost completely aloof from the tropicália movement (the courageous orchestration of Construção is very reminiscent of the influential work by Rogério Duprat). He delved into the Brazilian tradition of sambas and romantic or doleful songs, coming up with "Deus Lhe Pague" and "Construção," both having strong lyrics subliminally criticizing the military dictatorship; "Cotidiano," existentially thematic, revolving around the man-woman relationship routine; "Olha Maria" (written with Tom Jobim and Vinícius de Moraes), a sad separation farewell; "Samba de Orly," a reference to the French airport and city that became paradigms of the exiled Brazilians; "Valsinha," a beautiful love story; and other immortal songs in which the genius of the composer meets sensitively and reverently the heart of the Brazilian feel. "Core / Coraçao" is the new album of Maria Pia De Vito. It's been recorded between Rome and Paris and will be released in May with the label Jando Music in collaboration with Via Veneto Jazz. A new record fatigue, very much felt and and intensely transcultural ; the title clearly indicates a work of the heart which candle was lighted by the encounter with the Brazilian composer and guitarist Guinda and the following poetic meeting with Chico Buarque, guest in two pieces of the record:"Todo sentiment" and "O Meu Guri" (the second a duet in Neapolitan). 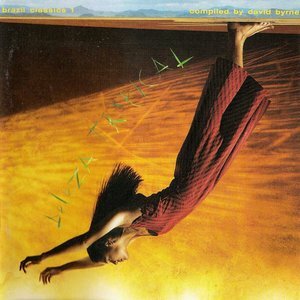 Brazil Classics 1: Beleza Tropical is a 1989 compilation CD from the Luaka Bop. 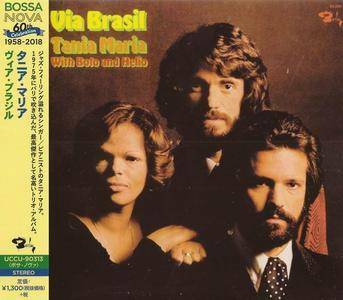 It consists of a wide range of Brazilian music, compiled by David Byrne of the Talking Heads. This album has prominent boogie, soul and funk influences. These had been present in Valle's work since the beginning of the 1970s and would be permanent influences on his music, also being solidified by his work with Leon Ware and Chicago. Non poteva cominciare meglio la seconda edizione del “Cortona Jazz Festival”, evento organizzato dall’Associazione Culturale Mammut con l’obiettivo di riportare il jazz a Cortona attraverso concerti, laboratori didattici e altre iniziative (come mostre fotografiche e reading) legate a questo meraviglioso ambito musicale; per l’evento di anteprima sono stati infatti coinvolti due nomi del calibro di Paolo Fresu e Daniele Di Bonaventura, figure di primissimo piano nel panorama musicale internazionale. Il duo ha presentato il progetto “Altissima luce” (l’uscita dell’album è imminente), una rilettura jazz di dodici brani appartenenti al prezioso Laudario di Cortona (raccolta di laude, ossia componimenti poetici di ispirazione religiosa spesso accompagnati da musica, risalente al XIII secolo), più una tredicesima lauda tratta da un laudario fiorentino. 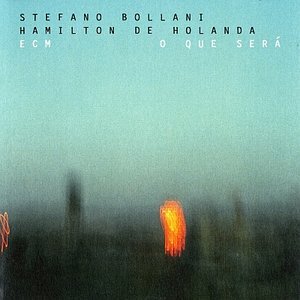 Italy’s creative piano virtuoso Stefano Bollani meets Hamilton de Holanda, Brazil’s peerless master of the bandolim, the 10-string mandolin. O que será is a summery celebration of the joy of music-making, radiating an irresistible enthusiasm, and raising the bar for trans-idiomatic instrumental interaction. Bollani, acknowledged as one of the most prodigiously-gifted soloists of jazz, is matched every step of the way here by de Holanda, and the exchanges between the musicians are frequently breathtaking. Repertoire draws upon the rich heritage of South American music – including Jobim, Piazzolla, Chico Buarque, Baden Powell, Ernesto Nazareth and more, plus original compositions by the protagonists. O que será was recorded live in Antwerp in last August before an audibly-delighted audience at the Jazz Middelheim Festival. Em seu quinto álbum em estúdio, “Canzoni”, Chiara Civello se apresenta pela primeira vez no inédito papel de somente intérprete, mergulhando naquele maravilhoso oceano que é a música italiana e apresentando o repertório italiano como nunca o escutamos antes. O resultado é um disco de canções de amor com um sound refinadíssimo e cativante que mistura o northern soul à bossa nova, o soul branco ao jazz e ao pop internacional, contando com a participação de convidados extraordinários como o monumental Gilberto Gil, o poético Chico Buarque, além da pop star Ana Carolina e a estrela do jazz Esperanza Spalding. This release will have fans of Eric Dolphy salivating as it includes some long-lost work that jazz scholars didn't know existed at all. 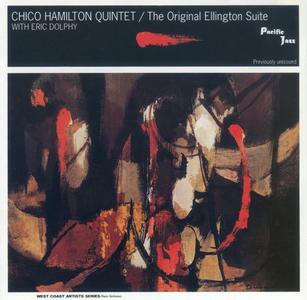 When the premiere reissue producer Michael Cuscuna researched all known Pacific Jazz tapes attributed to Chico Hamilton, all he came across were three edited numbers from this session, two of which had appeared on a compilation and another only on a DJ sampler. But this release is due to the luck of a Canadian resident who was digging through a used record bin in his hometown of Brighton, England, where he found a copy of The Ellington Suite with the personnel listed from a later session and a near mint blank test pressing of what turned out to be the long lost Chico Hamilton original version with Dolphy. 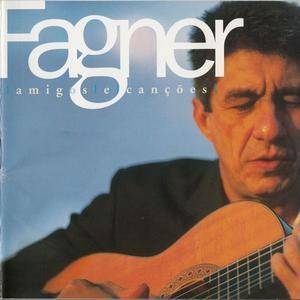 Twenty-five years after his opening album Manera, Fru-Fru, Manera, Fagner commemorates his highly successful career interpreting old hits sided by important or successful artists as guest stars: the fundamental samba singer Ângela Maria; the decisive composer Chico Buarque; the selling phenomenon Zezé di Camargo e Luciano; the important composers/performers Djavan, Luís Melodia, and Milton Nascimento; the great interpreter Emílio Santiago; and several others.